There are a lot of children that want to play violin in Nepal but unfortunately it is hard to get good violin teachers here and even harder to get a person who is good at teaching and playing the instrument. 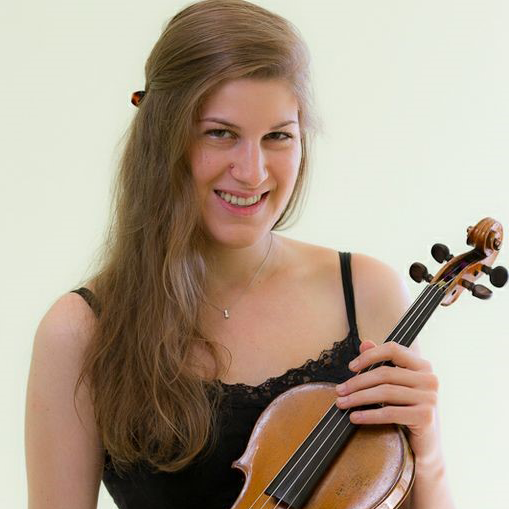 KJC is glad to welcome our new violin teacher from Luxembourg, Ann Majerus. She started the violin at the age of 6 at the Conservatoire du Nord in Luxembourg. She studied further at Maastricht Conservatorium in the Netherlands where she got a Bachelor Diploma in 2014. She has performed as a soloist several times in Luxembourg, Switzerland, Germany and the UK. It is important for the new generation to see the real scope of music in the global scale from a person who has experienced it. It is also a great inspiration for kids to be able to learn from someone who has started from when they were as young as them. They will see how good they will get if they keep trying! Ann has played in the European Union Youth Orchestra and the prestigious Luxembourg Philharmonic Orchestra too. She studied Chamber music at the University for Music and Performing Arts in Vienna in 2015 and after that she moved to Zanzibar, Tanzania to work as a violin teacher at the Dhow Countries Music Academy. She is an active member of The Freestyle Orchestra, which combines high quality classical music with acrobatics and circus art. Orchestras in Nepal are rare if any, and we together with Ann are starting programs to encourage people to play in them. It is a beautiful, spiritual experience when you have so many people playing together, manifesting themselves as one. It is an incredible bonding experience for the people who are playing as well as the people who are listening. From September 2017, Ann will be a volunteer teacher for violin, piano and music theory at the Kathmandu Jazz Conservatory. Check out her videos below. Call us now at 01-5013554 or 9813556945 to register for the free class or for regular classes commencing from September. You can also write us at info@katjazz.com.np. Join us today! i’D LIKE TO KNOW THE COST DETAILS ABOUT THIS CLASSES.